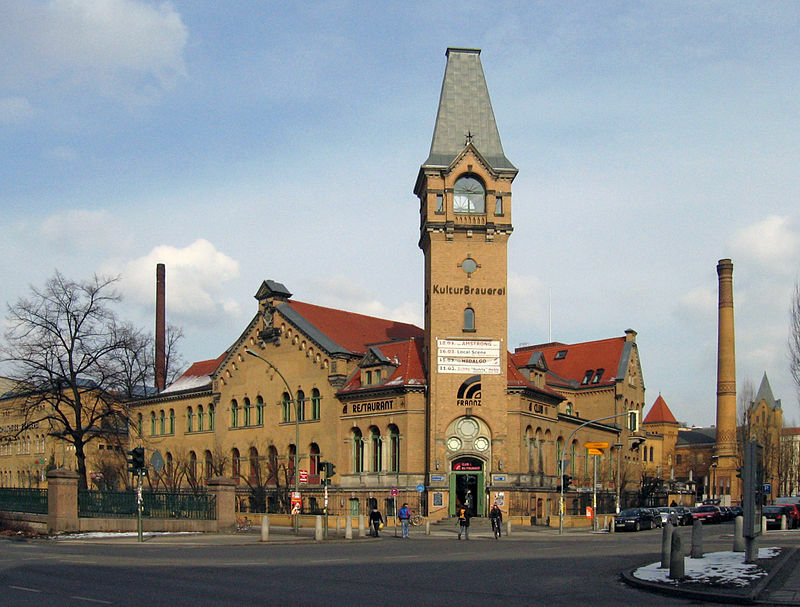 The question isn’t what can you do at the Kulturbrauerei, the question is what can’t you do at the Kulturbrauerei! 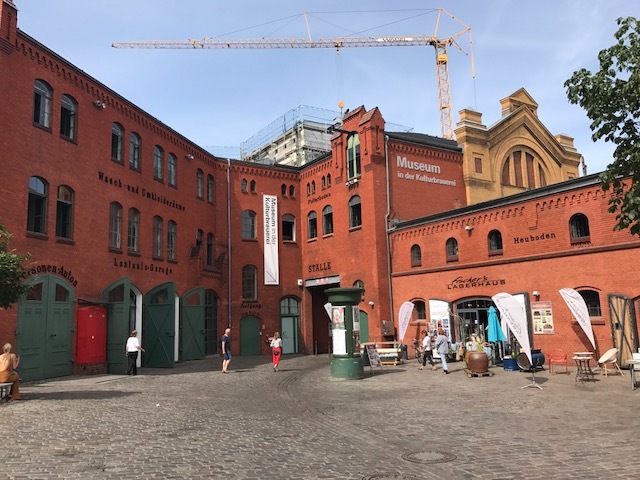 This famous landmark, located in Berlin’s Prenzlauer Berg neighbourhood is steeped in history and bursting at the seams with things to keep you busy. Before we divulge what exactly is contained within those red-brick walls though, let us first go back to its humble beginnings and how this striking building came to be. Going alllllll the way back to the early 1800s it started off as a small brewing operation, with ownership changing many hands along the way. New developments in technology meant new products could be developed and further growth allowed for expansions to be made. Bigger premises meant other ventures came along, such as stables, office space and accommodation up until the second world war. After the war, the complex was relatively unscathed and so it was business as usual. The late 1900s saw even more developments pop up, including the introduction of a casino and bowling alley. It stopped operating as a brewery in 1967 due to wear and tear of the plant. However a hip new nightclub came along instead and it was THE place to be for Berliners. Due to its unique architecture, the complex was declared a protected monument in 1974. 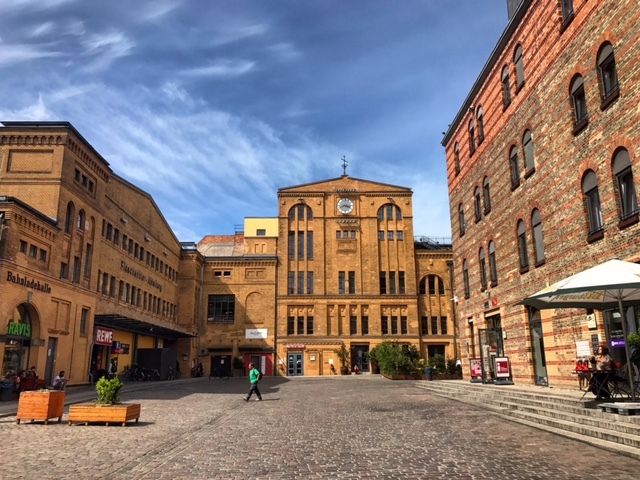 In the late 90s, a revival of the area began bringing with it a theatre and a thriving music scene and thus, the name Kulturbrauerei was born. You can read more about its extensive history here. Nowadays, the complex is a whopping 25,000 m², boasting six courtyards and over 20 different buildings. 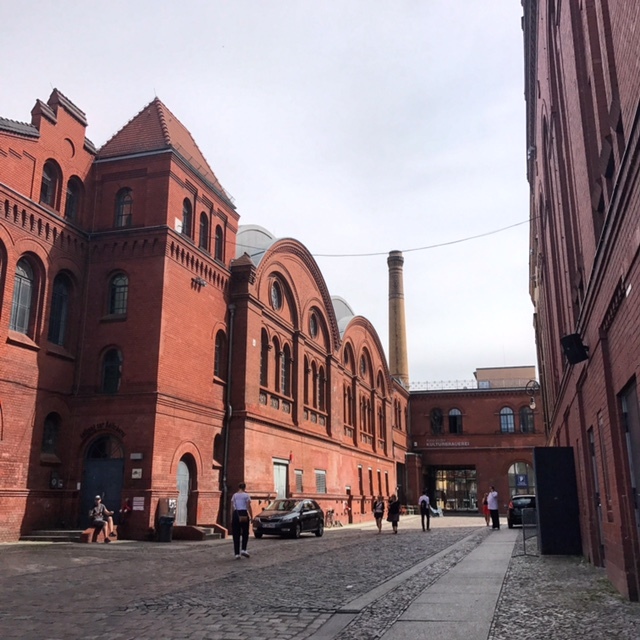 It is (according to Wikipedia) “one of the few well-preserved examples of industrial architecture in Berlin dating from the end of the 19th century”, including the original inscriptions on the building walls to show you what they were used for. Its big open-plan space means you can stroll around freely inside and take it all in. Photo from Street Food Auf Achse’s Facebook Feed. So, what IS going on inside, we hear you ask! Well, you’ll find many things to have a nose at during the daytime or some great ways to entertain yourself in the evenings – whatever the weather. During the day or night. There’s a concert hall (and general event location), nightclub, a museum about life in the GDR, dance schools, a snooker hall, restaurants, shops, a cinema and even a REWE supermarket (you know, just in case you need a pint of milk on the way home) and no corner of Berlin would be complete without its very own photoautomat. There’s much more on offer, which you can check out on their website however the best way to find out would be to hop on down there yourself. Also check this out! A cool map of the complex. You can also enjoy a lively food market every Sunday, where a wide variety of food trucks rock up and serve delicious treats including yummy pulled pork and falafel. 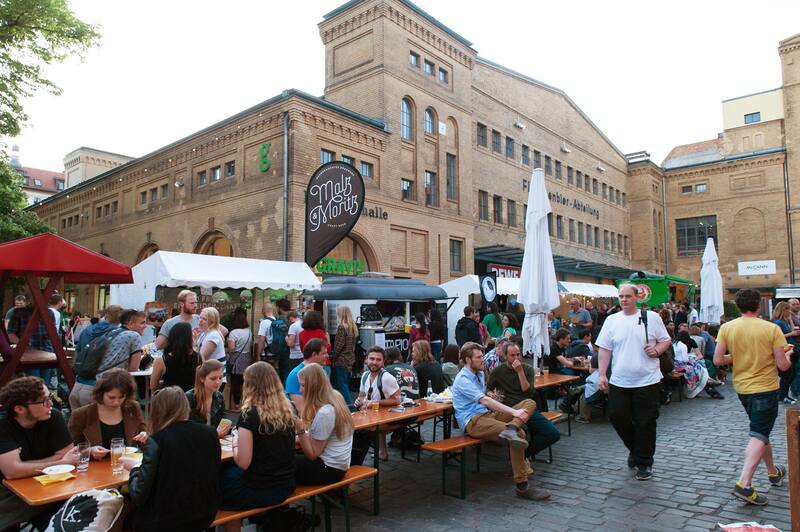 Find out more about the “Streetfood auf Achse” (Streetfood on the move) here. The Kulturbrauerei even has you covered during those cold winter months! 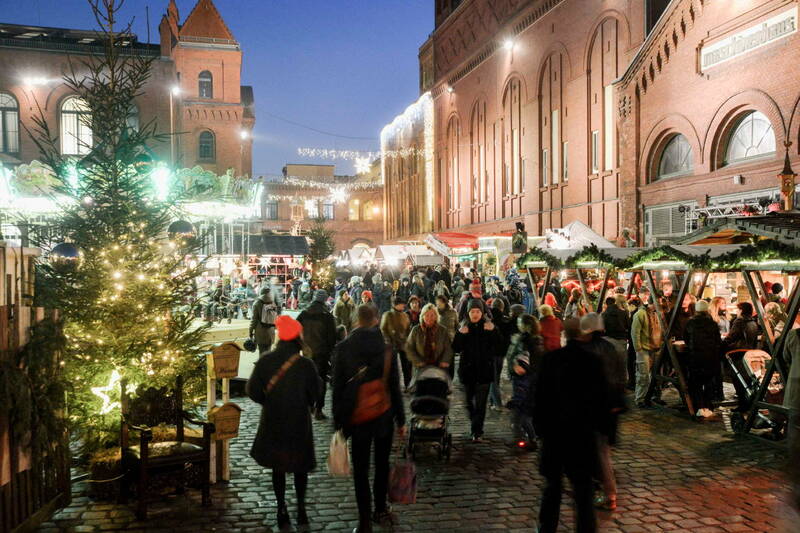 They host a beautiful Christmas Market, with a variety of stalls to do your Christmas shopping (or just enjoy the Glüwein) at. It’s really cosy and sure to get you in the holiday spirit. This place has it all and then some. Don’t just take our word for it though – go check it out for yourself! Whenever you’re in the area, pop in and discover what’s on, or keep an eye out for any events they have – it’s definitely worth making a trip out there. 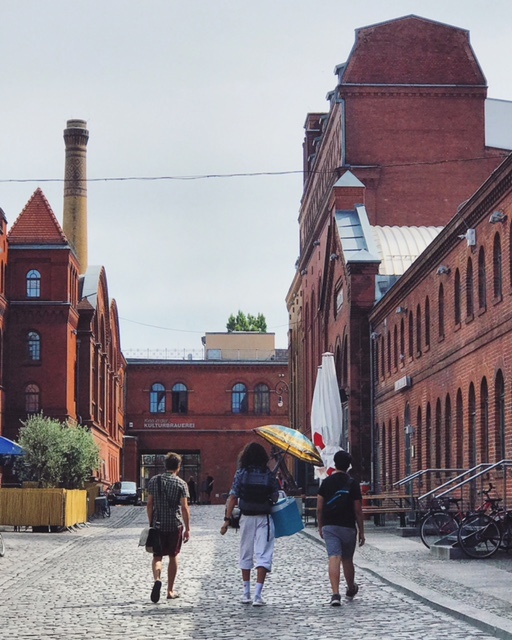 Here you will find more ideas on how to explore this wonderful neighborhood and a guide to exploring one of Berlin’s most exciting Sunday activities at Mauerpark. *This article was written by Natalie Lunt and edited by Tulio Edreira.